Alaska Lt. 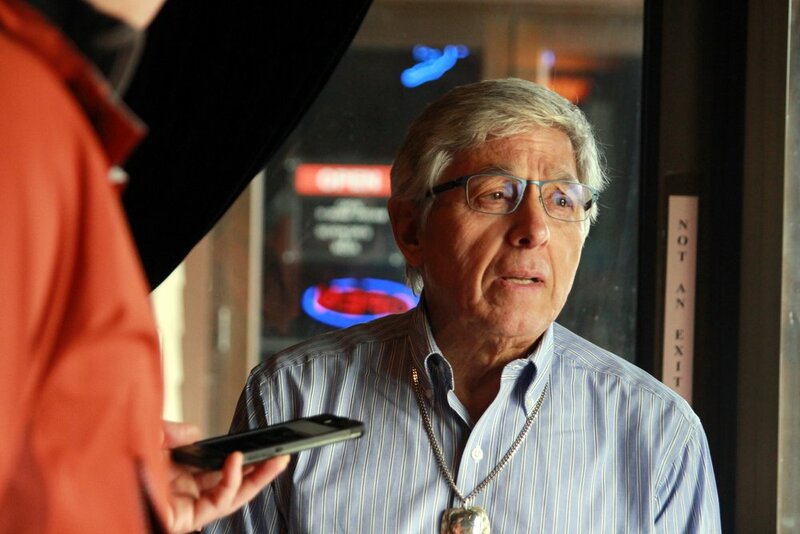 Governor Byron Mallott supports Alaska’s Pacific Salmon Treaty negotiating team, although he believes Alaska fishermen have been disadvantaged by the international agreement in the past. The Pacific Salmon Treaty is up for renewal this year. It’s coming under close scrutiny as Alaskan fleets are looking at deep cuts to their traditional harvests, to protect stocks. Lt. Gov. Mallot was in Sitka recently (3-21-18) at the invitation of the Chinook Futures Coalition, which was holding a forum about what it perceives as a critical overlap of conservation concerns and the treaty — which the coalition’s executive director, Deb Lyons, considers seriously flawed. Mallott didn’t attend the forum itself, but he did sit down for lunch with the panelists ahead of the event, and listened to their message. As a former salmon troller himself out of Yakutat and Sitka, Mallott likely wasn’t hearing anything he didn’t already know. He stepped away from the table for a few minutes to speak with KCAW. KCAW – Do you think the treaty process has been unfair to Alaska in the past, and do we need to be tougher at the negotiating table? Mallott – Alaska has been disadvantaged. The harvest levels for particularly chinook salmon have been reduced by 50-percent roughly over several decades of treaty management. And the concern among fishery leaders is that if that reduction now is used as the floor for continuing management or for treaty policy, that it disadvantages Alaska in a manner that is outside what the science might show. But Mallott agrees that while some have real concerns over the treaty process, it’s the process we have, and it’s in the best interests of Alaskans to be on the same page. Mallott – So we need to have that conversation, so that when decisions are made people know upon which basis — scientific, policy, management, stock assessments — that those decisions decisions are being made. And even if there is disagreement, people respect the process. And it seems that right now there is some concern with process. Southeast trollers are still feeling the sting from last summer’s decision to not open the king salmon season a second time. (And they took additional cuts in the winter and spring fisheries, following action by the Alaska Board of Fisheries.) Although the closure was designed to protect critically-low escapement in three of the region’s major river systems, Deb Lyons and the Chinook Futures Coalition think the closure was a blunt tool — and hurt far more fishermen than save chinook. In a public presentation that she’s given at least three times, Lyons is putting some of the blame for the closure on Deputy Commissioner of Fish & Game Charlie Swanton, who is also one of Alaska’s lead negotiators on the Pacific Salmon Treaty. The treaty team is appointed by the governor’s office. Mallott says Swanton has his full support. Mallott – I believe that the negotiations that are underway now, that Commissioner Swanton and his team will continue to act in Alaska’s best interests. However, they will come back and have conversations here in Alaska with those that are affected, and Alaska’s principal policy makers, and that their views and their determinations will be considered as vital to the final decision-making process. The Salmon Forum in Sitka took place (3-21-18) while treaty negotiations were occurring in Portland, Oregon. Sitka troller Dennis Longstreth advises the Pacific Salmon Commission on its Northern Panel. He’s unhappy with the timing of the forum, and with the schism that others in the fleet are trying to create around Swanton. Mitch Eide is a seiner, and the president of the Pacific Salmon Treaty Coalition — which last year dismissed Deb Lyons as its executive director. He’s not willing to discuss whether personal politics are in play, but he points to broad support for Alaska’s negotiators from seiners, gillnetters, and the sport fishery. “The rest of the stakeholder groups support the treaty team,” he said, in a recent phone call with KCAW. Although trollers by far have the largest stake in chinook, the net groups won’t have an agreement with Canada on other species like sockeye — until king salmon is settled. Eide is an alternate on the Northern Panel, and a fully-informed bystander in what are otherwise closed-door negotiations. He thinks Alaska’s team is doing its job, under the extraordinarily difficult challenging circumstances of having negotiate for allocation, while also contemplating extreme closures to protect chinook.